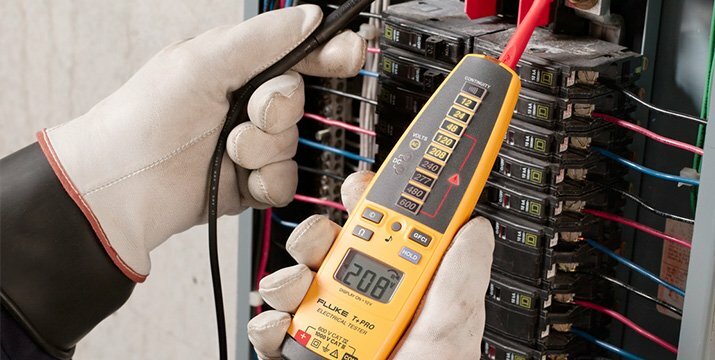 Even though testing for the absence of voltage is a pretty straightforward process, it needs to be conducted with care in order to avoid shock, injury and even death. Follow these recommended steps prior to testing for voltage. NFPA 70E requires that the "operation of the test instrument be verified on any known voltage source before and after an absence of voltage test is performed." In other words, connect your meter to an outlet or a proving unit whose voltage you already know and make sure your meter reads the correct voltage. 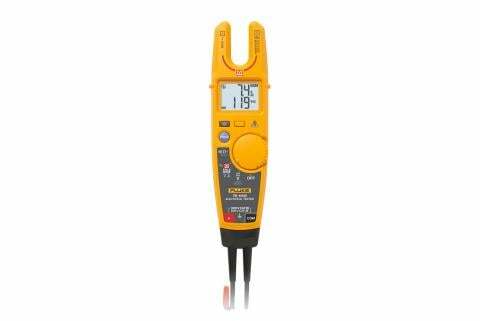 If it doesn't, then you can't rely on that meter to tell you whether voltage is present and work must stop until a correctly-operating test instrument is used to verify the absence of voltage. Are there any obvious defects in the case or meter element? Does the selector switch turn smoothly without binding? Do the functions change properly when the selector switch is operated? 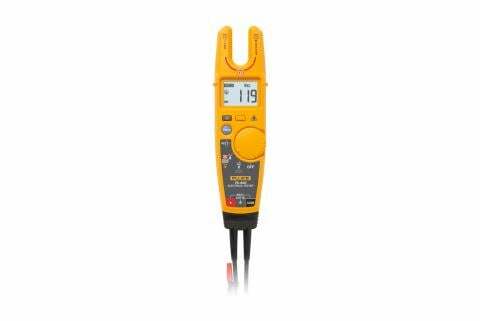 Does the test instrument have the correct CAT rating for the part of the electrical system it is being used on? Does the display function properly? Are the digits broken or do they fade in and out? Are there any signs of damage, such as cuts or breaks in the insulation, melted or discoloration of the insulation, or crushing of the test lead? Are the probe ends straight and undamaged? Are the probe ends tight? Caution: Never store the test leads wrapped around the test instrument. Insulated gloves and leather protector gloves. Ear plugs or other hearing protection that is covered by arc-rated PPE. Apply temporary protective grounds when necessary. Watch for unguarded conductors that are still energized. Be certain of a tight clean connection at the point of grounding. Always follow the lockout/tagout procedure for the specific equipment being isolated. Once you've gone through the Lockout/Tagout process, are wearing the proper PPE and you have the appropriate (and inspected) voltage test instruments, you're ready for the absence of voltage test.